Amidst thunderous applause, Ateneo de Zamboanga University School of Medicine (ADZU- SOM) Dean Dr. Fortunato L. Cristobal concluded his keynote speech on "Health for More, Health Disparity, and Health Education Training: An Ongoing Tension?" 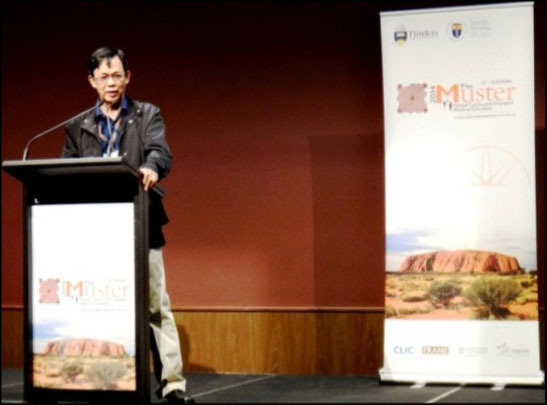 , during the Muster Conference 2014, at Ayers Rock Resort, Uluru, in the Northern Territories of Australia, last October 26-30. 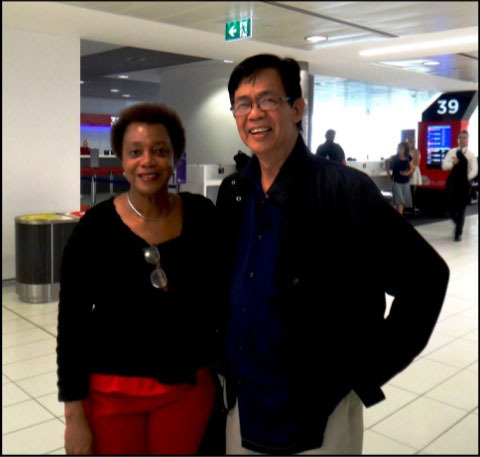 The dean, together with ADZU-SOM faculty member Dr. Jejunee Rivera, once again brought the ADZU medical school into the international spotlight for its innovative medical education model, thus paving the way for greater international collaboration. The ADZU-SOM has been recognized by the World Health Organization (WHO) on the Human Health Force Education and Training for this sandwich model, which can be replicated in other developing countries. This has also allowed the ADZU-SOM access to international research networking for medical education and medical technology. Dr. Cristobal was also a panelist on "Collaborative Leadership Conversations", where he shared the historical background of the ADZU-SOM, and presented research entitled "Tracking the Value Formation of Students Exposed to the Iterative Sandwich Curriculum Model of ADZU-SOM: A Cohort Study". His keynote speech on Health Education Training was the highlight of the conference, as it tried to bridge the gap between theory and practice. World Health Organization (WHO) minister, Dr. Erica Wheeler, in her concluding address, acknowledged how the ADZU-SOM curricular framework has successfully demonstrated transformative education, which is the core of the current WHO thrust on Health Workforce Education in Support of Universal Health Coverage. The Muster Conference, started in 2006, hopes to raise awareness, promote greater participation in international dialogue, and in turn strengthen awareness of community- engaged medical education both nationally and internationally. This year, over 300 delegates from 78 countries participated in sessions on Longitudinal Learning, Community Engagement, Social Accountability, and Aboriginal Health.